Green-tech, who is celebrating its 25th anniversary this year; reinforces its commitment to investing in people by sending its team out in force. Five people have attended rigorous BASIS training courses to strengthen the company’s inhouse expertise. Roger McGivern and Josh Forster from the Sales team have successfully completed and passed the BASIS Foundation Award in Amenity Horticulture and have been added onto the BASIS Professional Register as Associate members. This foundation course on pesticide use and best practice will allow them to have a greater understanding of their customers’ needs. This means Green-tech has even more people available to assist groundsmen’s, greenkeepers and landscapers working in the amenity sector. 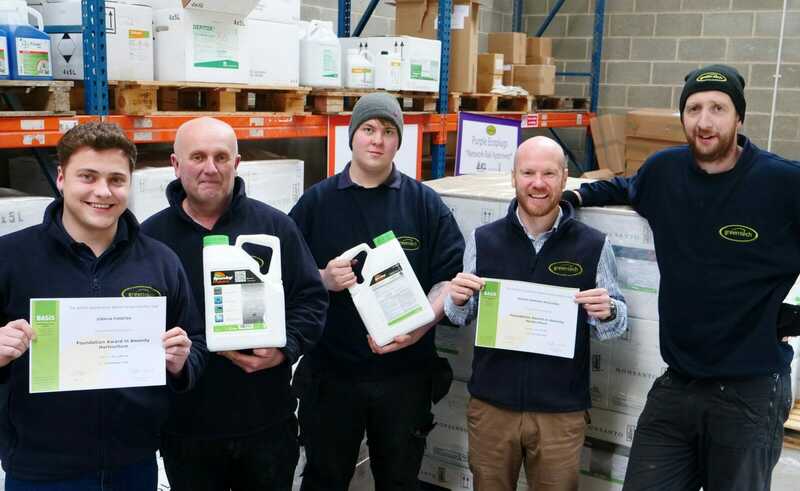 Glenn Brown, Andrew Walker and Cameron Fyfe from the Warehouse team have all passed the BASIS Nominated Storekeeper Course, a formal qualification in the storage and handling of chemicals and pesticides. As their role involves the handling and distribution of chemicals and pesticides, they attended the BASIS Nominated Storekeeper Course which equips trainees with the knowledge and skills to meet the standards of pesticide storage as outlined in the Code of Practice for Suppliers of Pesticides to Agriculture, Horticulture and Forestry. BASIS was established by the pesticide industry in 1978. It is an independent standard setting and auditing organisation for the pesticide, fertiliser and allied industries and, in short, promotes and encourage professional standards in these industries.